Fun for your kiddos to take home and do with Mom on Mother’s Day! Interview with Mom: Students can read their Mom’s responses in class and share. Thanks for all you do heart! Students will have to write down 5 things Mom does for them inside the heart. Then color and cut out the heart to take home for Mom. 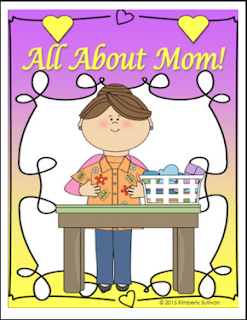 A fun activity for your kids to do with their mom on Mother’s Day!